Today, we are more informed and smarter about the planet we live on and the impact chemical-laden cosmetics can have on our face, hair and body. That is why the rise of organic products is significantly changing the personal care landscape. Women of all ages are becoming more attracted to organic or natural alternatives, and it's becoming a lucrative and exciting market to be in for beauty entrepreneurs. More people are starting to understand the negatives of many beauty and personal care products on the market, and are opting or searching for natural alternatives to not only safeguard their health but to play their part in protecting the planet. This has been observed by different players such as Kari Gran, a small company in the organic beauty industry, who recently reported a 235% increase in sales over a 3 year period. They also commissioned surveys in 2016 and 2017 to get an idea of how the market felt about natural beauty products. The 2016 survey, featuring over 1000 US women, found that almost 60% of the women read the labels of personal care products and 40% were willing to increase their spending if a product was all natural. Furthermore, the age group with the largest proportion of participants that were willing to spend more on natural products were millennials at 50%. This shows that the market is growing, primarily because the younger age groups will continue to grow and be a valuable sector of the market. In 2017, the same survey was repeated and in most of the results, there was an increase in consumer awareness and demand for organic beauty across all the age groups, showing that the market was still growing. The big beauty stores have also been taking notice. Sephora, CVS and other big corporations are making major changes and allowing for more personal care items that feature natural, non-toxic ingredients but these products are still limited in number. In fact, the more recent survey shows that a significant number of women are unsatisfied with the selection of natural beauty products available at retailers where they purchase most of their beauty products. This leaves the door open for enterprising beauty entrepreneurs who market organic products, to swoop in and take a slice of the pie just like Kari Gran has. Even if going fully organic is impractical for you, or you lack the knowledge or tools to do so, you can start by getting rid of some of the more disliked ingredients first. The three most avoided ingredients by those reading labels are sulfates, parabens and synthetic fragrances. Non-toxic beauty is a movement that is growing yearly. Millennials are helping to drive the clean beauty base forward, demanding transparency in the products they choose for their faces and bodies and calling on the FDA to slam companies that use toxic substances in their personal care items. Going green in the beauty business is something that warrants serious consideration, not only because of the demand but because climate change is becoming a growing topic and a driver for different legislations. Microbeads, for example, have been banned by several major countries over the past few years due to their negative impact on the environment. Many product lines and even some businesses tanked when this change was introduced because they lacked the foresight and awareness to adjust to the change. Similarly, your business may suffer if changes in consumer attitudes aren’t taken seriously. 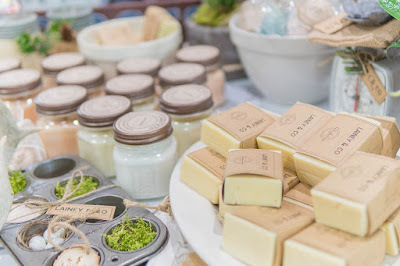 Beauty is changing for the better and entrepreneurs who sell non-toxic beauty products are primed for the long run as the demand for organic beauty products is trending upwards and is unlikely to stop in the near future. WHO classifies video game addiction as "gaming disorder"
The World Health Organisation has recognised compulsive and obsessive playing of video games as "gaming disorder".